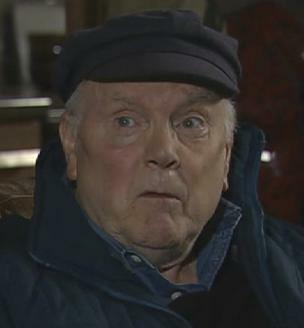 John Edward "Jed" Stone, played by Kenneth Cope, is a fictional character from the soap opera Coronation Street. He was a lodger of Minnie Caldwell's in the 1960s, and her nickname for him was "Sunny Jim". He made a reappearance after an absence of 42 years, only to tangle with local villain Tony Gordon. On a live chat with producer Kim Crowther, it stated that there are currently no plans to bring Jed Stone back for the moment, or even to finish up the Tony Gordon storyline. Cope also appeared in the 1988 special Minnie Caldwell Remembered. John Edward "Jed" Stone, played by Kenneth Cope, is a fictional character from the soap opera Coronation Street. He was a lodger of Minnie Caldwell's in the 1960s, and her nickname for him was "Sunny Jim". He made a reappearance after an absence of 42 years, only to tangle with local villain Tony Gordon. On a live chat with producer Kim Crowther, it stated that there are currently no plans to bring Jed Stone back for the moment, or even to finish up the Tony Gordon storyline. Cope also appeared in the 1988 special Minnie Caldwell Remembered.